Name : Pokemon Army FTW! 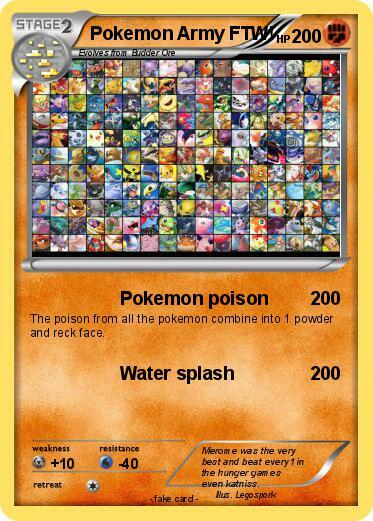 The poison from all the pokemon combine into 1 powder and reck face. Comments : Merome was the very best and beat every1 in the hunger games even katniss.